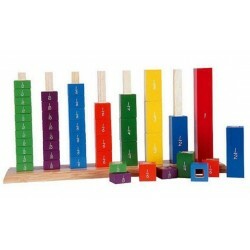 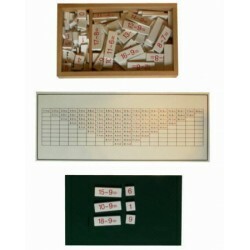 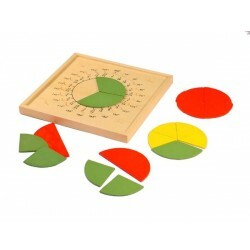 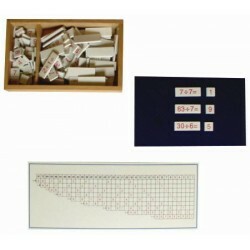 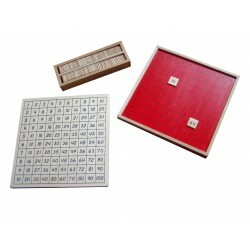 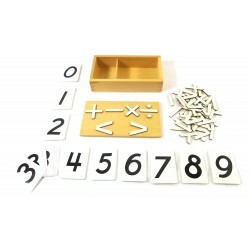 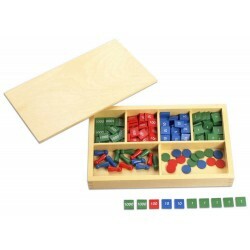 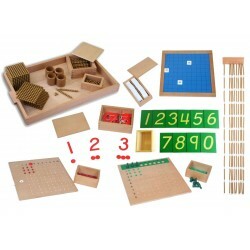 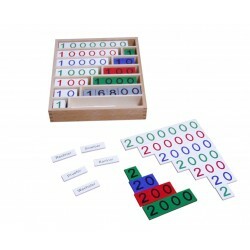 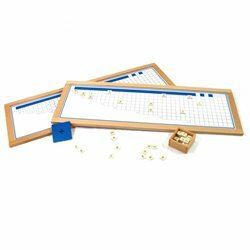 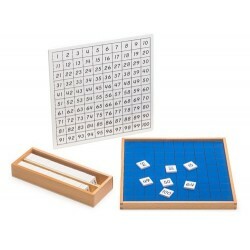 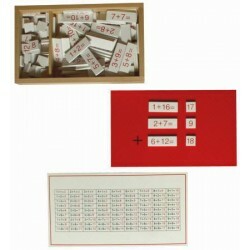 The Teens and Tens boards teach children number names and the sequence from 10 to 99 (using 2 boards). 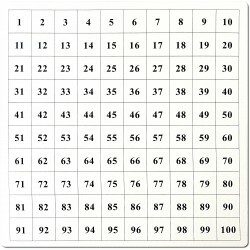 Teens: The Teens board is for learning the number range from 10 to 19. 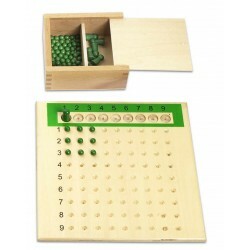 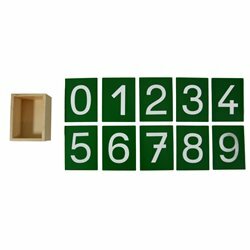 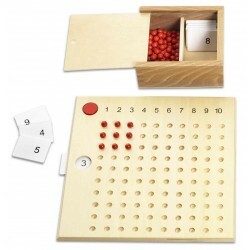 The board has 9 number slots depicting "10" and by adding the number cards 1 through 9 can represent the numbers 10,11,12,13,14,15,16,17,18,19. 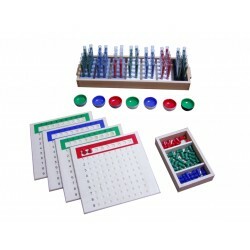 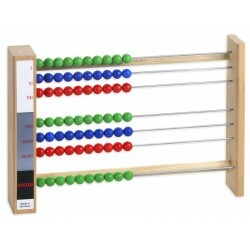 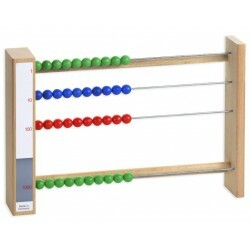 Tens: The Tens Board covers the number range of 10 to 99. 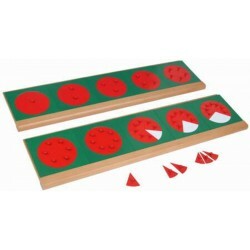 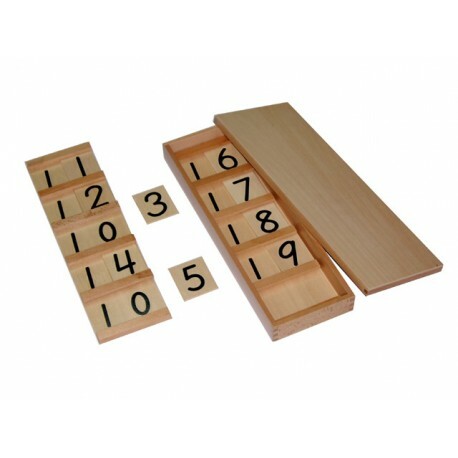 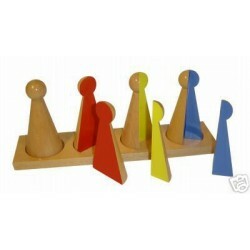 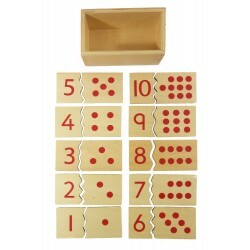 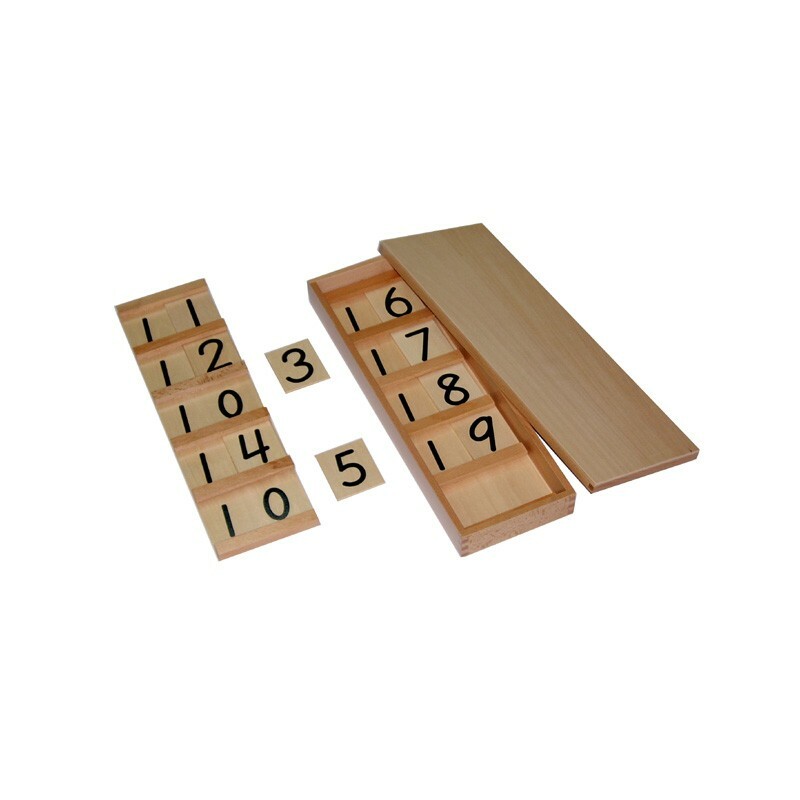 The board has 9 number slots 10,20,30,40,50,60,70,80,90 and while the child counts she slides the wooden cards 1 to 9 into the slots. 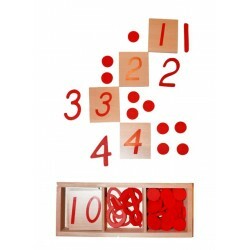 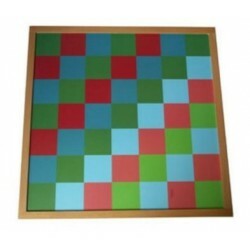 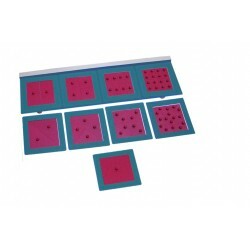 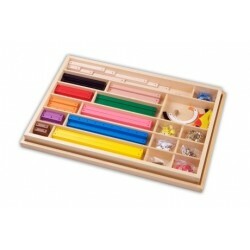 It is recommended to combine the boards with Bead Material to get the child to lay out the corresponding number of beads. 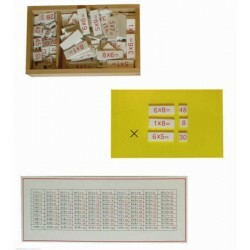 There must be no number cards remaining. 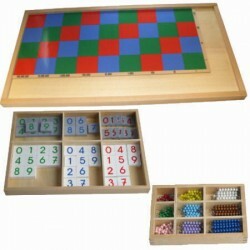 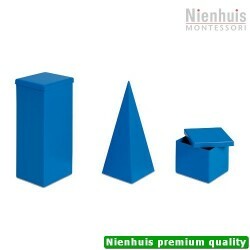 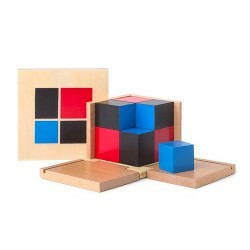 The boards are made of wood and come in 2 wooden boxes.